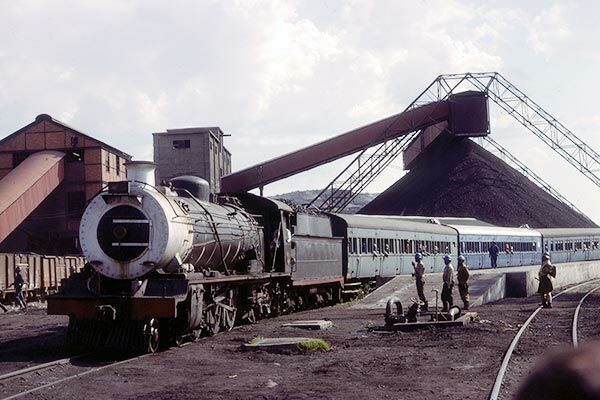 Caption - Durban Navigation Collieries (Durnacoal) at Dannhauser (Natal) had a line that ran about 15km from the SAR main line. This image shows ex-South African Railways (SAR) class 16CR 813 built by North British in 1919 arriving with a passenger train at the main shaft bringing miners from the no.7 shaft. After withdrawal from main line service, this was the last passenger working that the 16CR Pacifics undertook. Date October 1979. Within a few years steam was replaced by diesel.